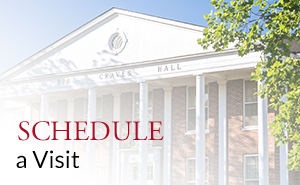 The University of West Alabama is a state-supported, coeducational institution of higher learning governed by a Board of Trustees appointed by the Governor of Alabama. 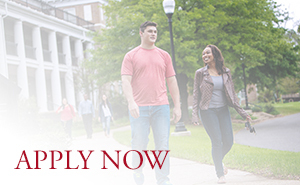 As a regional institution, the University’s foremost commitment is to meeting the educational needs of the State and particularly of the West Alabama area. Valuing a diverse student enrollment, though, it also welcomes students from throughout the United States and the world. Our primary purpose is to provide opportunities for students to pursue a quality education through associate, baccalaureate, master’s, and education specialist degrees in liberal arts, natural sciences and mathematics, pre-professional programs, nursing, technology, business, and education. Importance is placed on providing opportunities within the curricula for the development of enhanced skills in critical thinking, communication, leadership, and computer literacy. You can learn more about our mission and our long-term vision here. The University of West Alabama was chartered in 1835 as a church-related female academy and admitted its first students in 1839. After difficult times during the Civil War and Reconstruction periods, the school reopened in the late 1860s or early 1870s. Although it appears that a few male students were admitted following the reopening, a resolution by the Board of Trustees in 1876 excluded boys, and this policy was followed until the beginning of the 20th century. You can learn more about our long history and many traditions here.